CoQ10 is found in nearly every cell of your body. Your body makes it and your cells use it to produce the energy your body needs to grow and repair. It serves as an antioxidant that helps protect your body from harmful molecules. It is widely known to be beneficial for heart health, to help prevent cancer, to boost energy and to aid in muscle recovery. PPQ or pyrroloquinoline quinone aids in the growth of new mitochondria in aging cells. 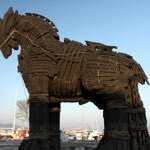 It activates genes that support mitochondrial reproduction, protection, and repair. Many supplements are poorly absorbed because the active ingredient(s) and nutrient(s) are mostly lost in the digestive process before it reaches the bloodstream. 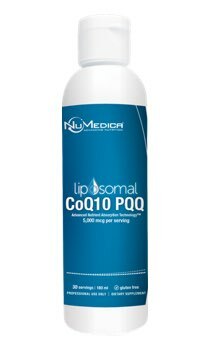 NuMedica Liposomal CoQ10 + PQQ provides 100 mg of CoQ10 (Ubiquinone) and 5 mg of PQQ delivered in non-GMO phosphatidylcholine liposomes for optimal absorption and bioavailability. These liposomes transport the CoQ10 and PPQ through the intestinal wall into the bloodstream where it can reach the intended target.